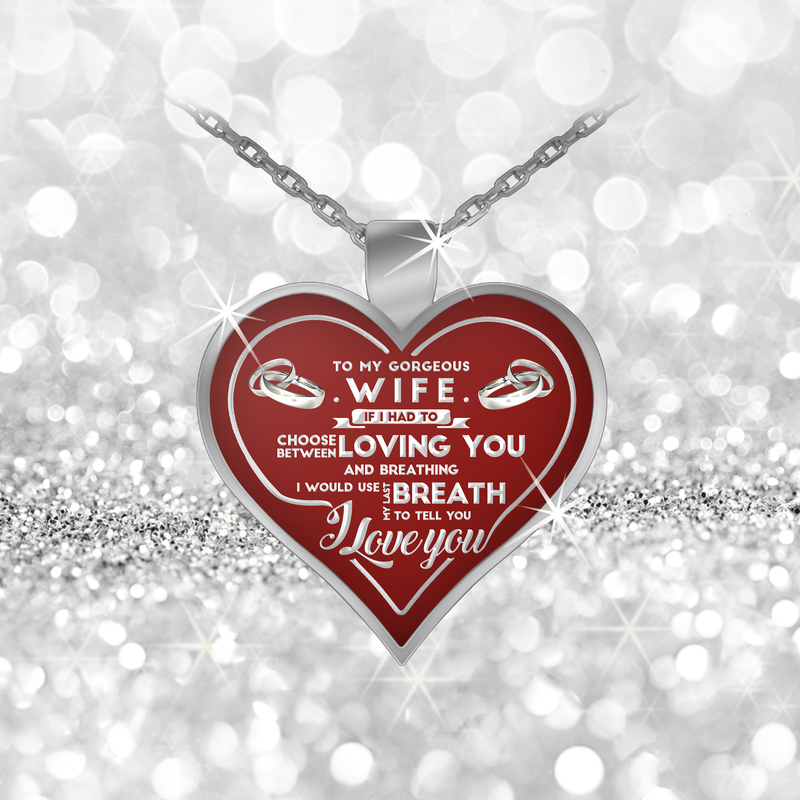 ♥ Surprise Your Wife with this beautiful necklace and melt her heart! ♥ "To My Gorgeous Wife ... If I Had To Choose Between Loving You And Breathing... I Would Use My Last Breath To Tell You... I Love You"
Very nicely made and a gift that was appreciated by my wife very much. Very nice necklace the only real issue I have is the scale of the pendant and the size of the writing as it is a bit small. Other than that I am happy.